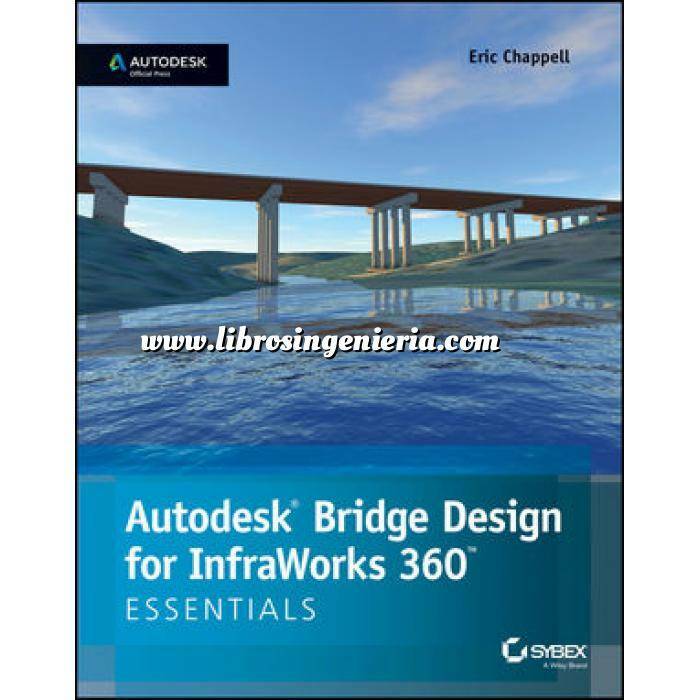 Autodesk Bridge Design for InfraWorks 360 Essentials is an accessible, unique learning resource that offers engineers and designers succinct explanations and hands-on exercises that provide the keys to the software's many features and functions. Get up to speed on bridge design with this Autodesk Official Press book, which is filled with illustrative screenshots and step-by-step instruction for effective bridge design. Once you learn how to navigate this powerful software, you can access the cross-platform model sharing and collaboration via the software's cloud capabilities, and you'll see how the model can be exported into Civil 3D for final design work and documentation. This essential resource shows how to access the tools that drive stakeholder involvement with design-feed social collaboration, and offers information on how to connect your designs to real-world environments with live maps and geo-location tools. With Autodesk Bridge Design for InfraWorks 360 Essentials you'll learn how to access the power of the bridge design software that puts you ahead of the competition.